Travel Time : Cruising without Passports IS POSSIBLE! Grab the kids and let's go! Cruising without Passports IS POSSIBLE! Grab the kids and let's go! How great is it to be checked into one room and get to see several different countries without having to fly to each place. There are so many things you can do aboard a cruise ship that boredom is an impossibility. Of course my favorite is Disney, as I am all about Disney and I specialize in booking Disney vacations. I have traveled on all four Disney Cruise Ships (several times – For you Disney Cruisers -Castaway Club Member Gold, one away from Platinum!) and a Carnival cruise. I have traveled all alone for work of course to traveling with a group of 50 people and did it all seamlessly. Documentation is required to cruise. If you are going on a “closed-loop” cruise (meaning departing from a US port and returning to the same US port) then you must present a government-issued photo ID (such as a driver’s license) and proof of citizenship (an original or certified copy of a birth certificate, certificate of naturalization or similar documentation), but you are not required to have a passport. Children are not required to have photo ID on these types of cruises. If you are on a cruise that departs the US but returns to a different US port, or departing from any International port, a passport is required. A passport card might also be a possibility but since the passport card is limiting, a passport is the smarter choice. For all of our US port cruises we have just used our birth certificates with no worries. Even if you are a first time cruiser, feel comfortable that you can book last minute and not worry about having to have a passport. Now don’t get me wrong, we recommend passports even for closed-loop sailings because in the case of an emergency -- such as an injury or illness that forces you to debark in a foreign port -- a passport will make it much easier to handle unexpected travel. It is the wiser choice, but not required. Many cruise lines will not allow women to sail in the third trimester of pregnancy; depending on the cruise line, you must be 23 to 26 weeks pregnant or less on the day of disembarkation. Some cruise lines require written approval from a doctor. Babies must be at least 12 months old for trans-ocean or world cruises and 6 months old for all other cruises. Disney is the exception, allowing babies at just 3 months. Some adult-oriented ships don't allow children at all. Keep in mind that nurseries onboard may have limited hours and will most likely charge for the service. A single parent traveling with children -- on some itineraries -- may be required to show a letter of permission from the second parent (and it may need to be notarized). This would apply to both boarding the cruise ship and boarding an airplane. 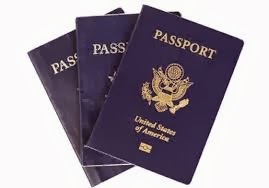 Passports and Passport Cards: For U.S. citizens, passports are necessary for travel by land, sea or air anywhere outside the United States (with the exception of closed-loop sea travel). U.S. citizens may opt instead to use a U.S. Passport Card when traveling by land or sea (not air) between the United States, Canada, Mexico, Bermuda and the Caribbean. Approved by the Department of Homeland Security, the card is a limited-use passport reduced down to the size of a driver's license. Most cruise lines require that the passport or passport card be valid for at least six months following the completion of your travels. What's the difference between a passport and passport card? While a passport book contains all of the necessary information for international travel, a passport card contains a sensitive chip that makes scanning easier at most U.S. points of entry. Cards are not, however, usable for air travel. Currently, passport books cost $135.00 for adults and are good for 10 years, while those for children under the age of 15 cost $95.00 and last for five years. Cards, on the other hand, are less than half of the price at $55.00 and $40.00 for the same age ranges. Of course, there are numerous U.S. territories - including Guam, Puerto Rico, the U.S. Virgin Islands and American Samoa - that do not require a passport if travelers are U.S. citizens. When in doubt of documentation required, always check the facts, don’t guess. Guessing might mean you are left waving at the ship as it pulls away!